We thought the Terps were a lock to knock off the Deacs today, and then things took an ugly turn down in Winston-Salem. The Deamon Decons have suspended six football players, including four starters and the team's second-leading rusher, for its game Saturday at Maryland over a violation of team rules. 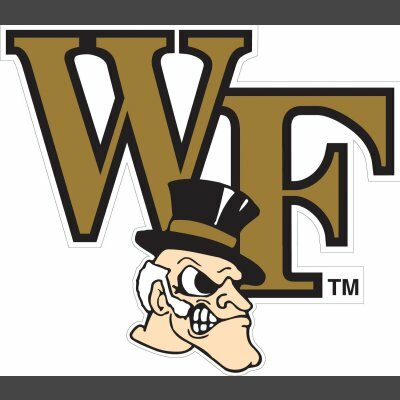 Coach Jim Grobe says cornerback Merrill Noel, safety Daniel Mack, linebacker Mike Olson, guard Frank Souza, running back Deandre Martin and receiver Airyn Willis will be eligible to be reinstated for the team's next game at Virginia on Oct. 20. Noel, Mack, Olson and Souza are listed as starters on the team's depth chart. Olson is the team's leading tackler and Martin has 279 yards rushing. Details of the violations were not given in Friday's announcement. Grobe says: "I'm disappointed that some of our kids made poor decisions. These are good kids who just need to learn from their mistakes."